Mobile apps designed to help parents keep their children safe from online predators may actually be counterproductive, harming the trust between a parent and child and reducing the child’s ability to respond to online threats, conclude two new studies from the University of Central Florida. In a pair of studies led by the University of Central Florida, researchers examined the types of parents who use parental-control apps on their teen’s mobile smartphone, whether the apps actually helped keep teens safe online, and what teens and younger children thought about their parents using these apps. For a generation that has grown up with network technology and uses it for almost every facet of their lives, from completing homework assignments to connecting with friends and sharing personal information, the results of this research may be life changing. The research team found that authoritarian parents, who were less responsive to their teen’s need for autonomy, were the most likely to use the parental control apps, and the use of these apps was associated with teens experiencing more, not fewer, online risks, including unwanted explicit content, harassment and online sexual solicitations. This NSF-funded study was based on a survey of 215 parent-and-teen pairs in the United States. “Parental involvement and direct supervision were both associated with fewer peer problems and less online victimization for teens, but neither of these factors correlated with the use of parental control apps,” said Arup Kumar Ghosh, a doctoral student in UCF’s College of Engineering and Computer Science, who conducted this research as part of his dissertation. “The fear that teens will fall victim to unthinkable online dangers persists, and our research is challenging the current solutions for protecting teens online by tightening the reins. Instead, we suggest empowering teens to be agents of their own online safety,” said Pamela Wisniewski, an assistant professor of engineering and computer science, who is an expert on adolescent online safety and advises Ghosh. “Our findings suggest that most parental-control apps are just that—apps that attempt to control what teens can do online, but ultimately do little to keep them safe online,” said Wisniewski. 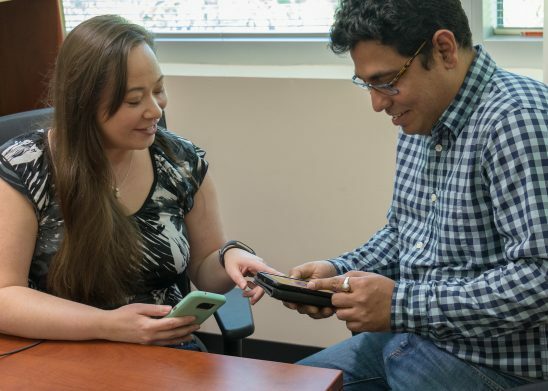 In the second study, Ghosh, Wisniewski and their collaborators wanted to know how teens and younger children felt about these parental-control apps. The researchers analyzed 736 publicly posted reviews written by teens and younger children for parental-control apps available for download on Google Play. The researchers concluded that more parental control does not ensure teen safety and that a certain amount of autonomy in allowing teenagers to make appropriate decisions may be the best approach for parenting. Future app designs should consider incorporating features that support engaged parenting and teach teens how to more effectively manage online risks. These studies suggest that children, particularly teens, should play a pivotal role in the design and development of mobile apps designed to keep them safe online. Both research studies will be presented at the Association for Computing Machinery’s Conference on Human Factors in Computing Systems in Montreal this month.